A solider killed Sunday in a helicopter crash in Iraq was identified Tuesday as Taylor J. Galvin, Chief Warrant Officer 3 in the U.S. Army, and had lived and attended high school near Spokane. Galvin, 34, died in Baghdad from injuries sustained when his helicopter crashed in Sinjar, Ninevah province, according to the Pentagon. Sean Ryan, spokesman for Operation Inherent Resolve, tweeted Monday the crash was not a result of enemy fire. The crash is under investigation, according to a news release. Galvin was married and a father of two, according to an article on Military.com. He graduated from Lakeside High School in Nine Mile Falls in 2002. He was a member of the school’s football and wrestling teams. Scott Jones, a former wrestling coach at Lakeside High School, said Galvin was one of the favorites of the coaching staff. Troy Hughes, another wrestling coach at Lakeside High School, remembers Galvin as a hard worker who was funny and made others laugh. Galvin was assigned to the 1st Battalion, 160th Special Operations Aviation Regiment at Fort Campbell, Kentucky. Robert Manning, spokesman for the Pentagon, said Monday that Galvin and the other soldiers were flying back from an anti-ISIS mission, and that three other service members were medically evacuated for medical care after the crash. Galvin was born in Phoenix in 1983 and entered the Army in 2003 as an aircraft mechanic for CH-47 Chinook helicopters, according to a news release from United States Army Special Operations Command. 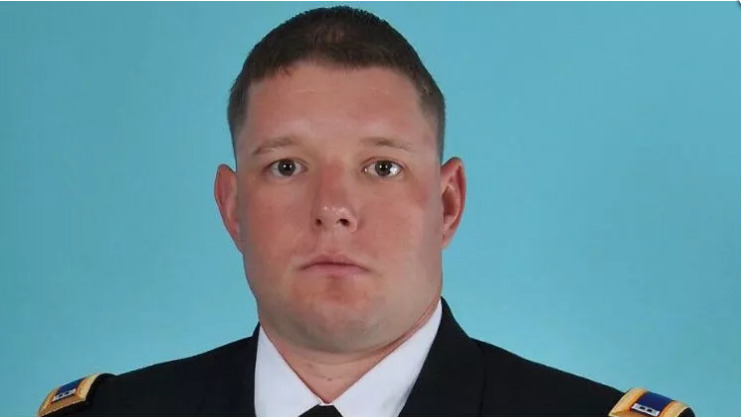 He attended flight school at Fort Rucker, Alabama, and graduated in 2008, after which he served as an instructor pilot for H-60 Black Hawk helicopters. He had nine deployments: two in support of Operation Iraqi Freedom, three in support of Operation Enduring Freedom and four in support of Operation Inherent Resolve, according to the news release. Condolences and prayers from public officials near and far poured in Tuesday. Published: Aug. 21, 2018, 7:11 a.m. Updated: Aug. 21, 2018, 8:10 p.m.